Can I apply to you for an Irish passport? Any citizen of Ireland may apply for an Irish passport at this mission. If you are not a citizen but wish to become one, see our citizenship pages. Can I apply online or by email for an Irish passport? You can apply online if you are over 18, you are the holder of an Irish passport and are not changing the details in your passport. Can I download a passport application form from the internet? Unfortunately not. Our application process requires that you complete a pre-printed application form and mail it to us at the address above. To obtain a form, please email us with your name and postal address. Passport forms are also available for collection in these locations. My passport application is ready to go – have I got everything I need? We have a checklist here to help you! How long does it take to process a passport application? It usually takes approximately five to six weeks to obtain a passport if all your documentation is correct. However, due to increased demand and a high number of applications awaiting processing at present, we advise applicants to allow eight weeks. Please note that we cannot guarantee delivery dates absolutely. We can help process your application in Perth to ensure all is in order and thus avoid delays. Please call us 08 6557 5802 to organise an appointment. We can also help with your photo ID witnessing. Applications are checked here and Australian dollar fees processed, but the biomatric passports are produced in Ireland and returned to us for forwarding to you by registered mail in the prepaid envelope you provide. It is not possible for us to guarantee specific delivery dates and you should allow plenty of time for your application to be processed. There is a scale of fees depending on the age of the applicant. Details are here. Yes. We also accept cash and Money Orders at the Perth Honorary Consulate. Who can witness my application/witness my consent for a passport for my child? Acceptable witnesses in each case are clearly indicated on the application form. Please note that the witness must be prepared to be contacted by us, and must provide contact details for that purpose. Some Justices of the Peace, particularly in Queensland, have a policy of not providing contact details. This can delay your application significantly and we urge you to confirm in advance with your witness that they can be contacted and, if they prefer not to be contacted, to chose someone else from the list so that your application can be processed without delay. 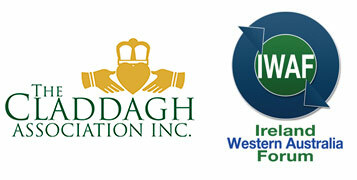 By appointment the Honorary Consulate of Ireland- WA may help with witnessing of photographs. Please telephone 08 6557 5802 for further information. Where can I get the right passport photos? We do not require applicants to use any particular photographer. We do however recommend having photos taken digitally, to allow for the image to be sized to fit within the ranges we require. Conforming with these dimensions is vital to the production of your biometric passport and the requirements are explained in the notes accompanying the application form. Please read these carefully and help us to reduce our current high rate of rejection for photographs. The dimensions for our passport photographs are very commonly used internationally and are known as the “International Template”. It is important to be aware that Australian passport photos are produced to a different template and we will have to reject photos with these proportions, as they are not suitable for Irish passports. Reputable photographers should be familiar with the International Template, which is often pre-programmed into digital photographic equipment. More detailed guidelines for photographers are here. I have lost my Irish passport- what now? This information will be useful. Please note that, due to regrettable attempts at fraud, the requirements are more strict than usual for applications following loss or theft. In addition to supplying four photographs, two of them signed by your witness, you must submit originals of your long form birth certificate and (if married and regardless of whether you have changed your name) your civil marriage certificate. If you were not born on the island of Ireland, further evidence of entitlement to Irish citizenship must be provided (eg certificates for Irish-born parent or original of Foreign Births Regsitration Certificate, as applicable). In addition to normal ID requirements, you must provide original photo ID, documentary evidence of use of name, and evidence of residence at your application address. You should also submit confirmation from the police that you have reported the loss or theft of your previous passport to them. I need to travel urgently and have no valid passport. What can I do? I applied to you a while back but my application is not appearing on the online passport tracker. Is there a problem? Not necessarily. Unfortunately your application only appears on the online tracker system when it has been assigned to a specific member of staff in the Passport Office in Dublin. Before this happens, we will have completed preliminary checks here and scanned it onto our system. If there are any problems at this stage we will contact you. If not, it will be queued for final checks and production in Dublin. Australian applications always take several weeks, and sometimes even a month, to appear on the tracker. We regret the distress and confusion this can cause, and we have asked that it be addressed on a future software upgrade. The tracker shows that my passport has been issued- why have I not received it? Because of the additional security features in our biometric passports we cannot produce them here. Australian applications are produced in Dublin. The tracker system was designed primarily for use with applications made in Ireland, where the passports are produced. It does not differentiate between passports which are issued directly to the applicant in Ireland and those which are forwarded to missions abroad to be passed to applicants. We hope that this will be changed on a future software upgrade. In the meantime, and depending on the day of the week your passport is produced, you should allow at least a week and often longer for it to reach us and then to be forwarded to you in the pre-paid registered envelope which we asked you to provide with the application. I forgot to note the application number on my form. Can I track the application any other way? We are sorry, but you need to retain your tracking number in order to be able to monitor the progress of your application. We cannot provide a telephone or email tracking service, due to the very large numbers of passport applications we receive. We cannot retrieve details of individual applications without disrupting and delaying the processing of other applications, which causes more delay for others. For full instructions on how to apply for a passport through the Embassy of Ireland in Canberra, please follow this link .